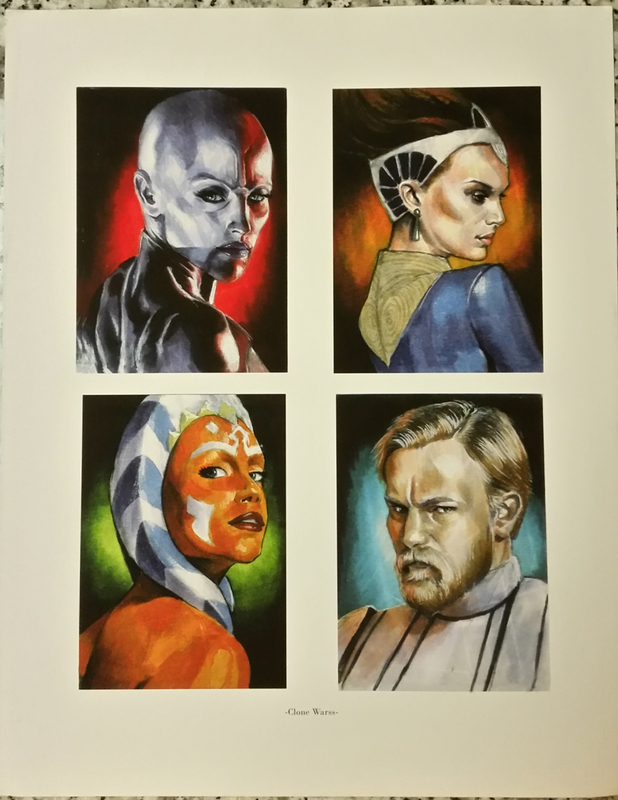 Cat Staggs seems to have taken four of the images she drew on sketch cards for Topps’ The Clone Wars trading cards and combined them into a print. 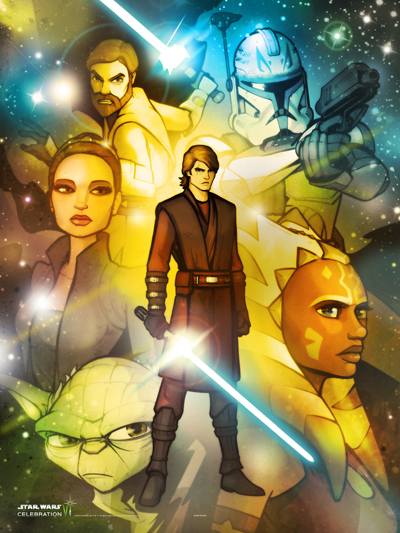 Clockwise from the top left, we see Asajj Ventress, Padmé Amidala, Obi-Wan Kenobi, and Ahsoka Tano. 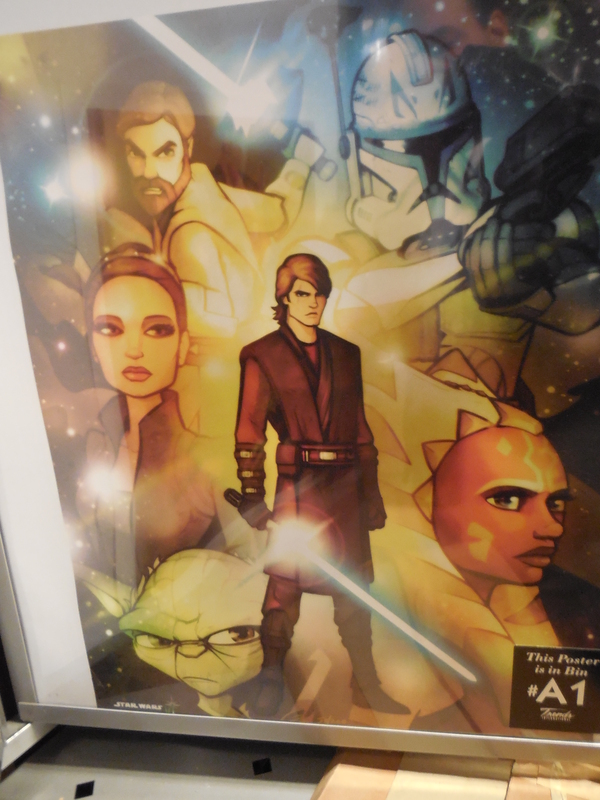 I purchased this print from Cat Staggs at Dragon*Con in Atlanta, Georgia, on September 4, 2009.